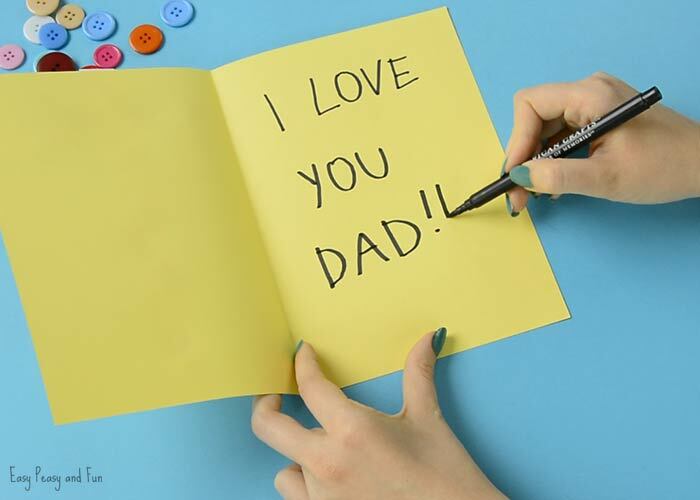 We have a Father’s Day card idea that is cute as a button! Really! 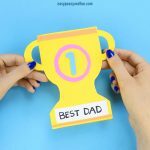 Every good father deserves some recognition here and there and this card will go a long way for sure. 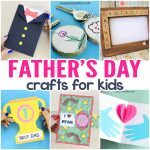 With Father’s day approaching we though we would share a few more ideas for Father’s day cards and crafts kids can make. 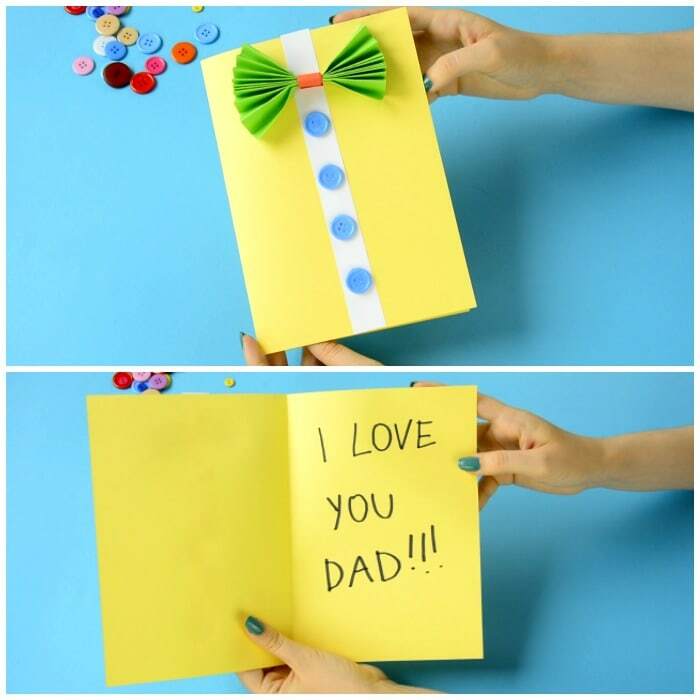 If you are a regular visitor of our website you know by now that we love to give our creations some dimensions so a simple shirt card with a regular bow just wouldn’t cut it (we’ll it would but we wanted something that pops). 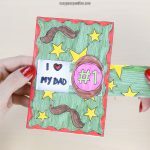 After thinking long and hard we though we would just use some “accordion” magic to give our Father’s day card some dimension. And oh do we love it. That said, we would love it even more if this one would be made with black paper (which we have run out off) as it would really classy. Maybe even have a red bow tie then. Super cute. 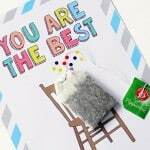 But nonetheless a wonderful card idea :). Do you agree? Well time to make one then! There really is no limit to color combinations here. You can also glam the shirt up with gems and glitter. 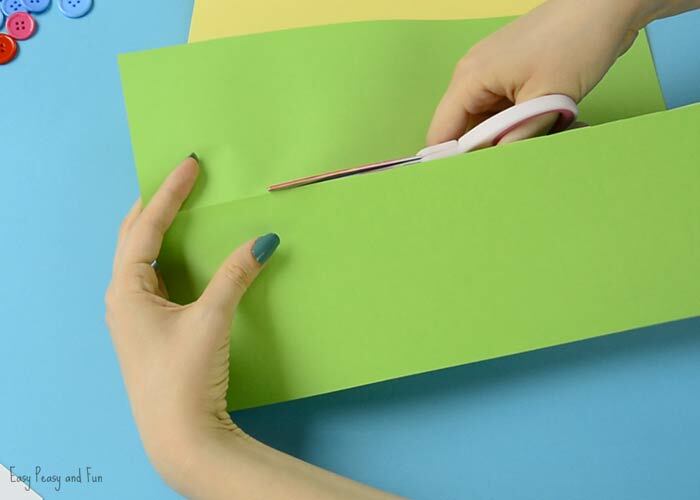 Fold the sheet of regular paper (we used green) in half along the length. 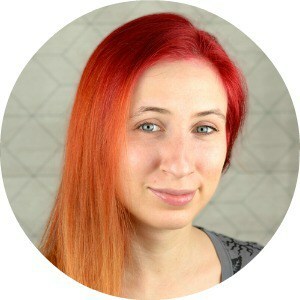 Cut along the fold – you will get two strips of paper, we will be using one. 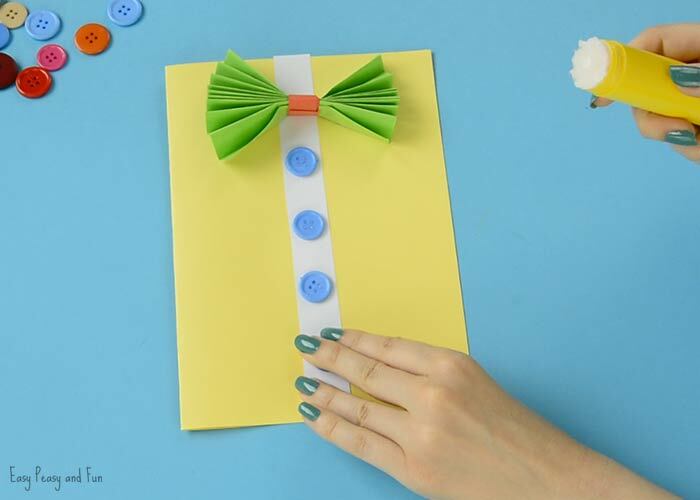 Make accordion fold (zig zagging) along the length of the paper strip. This step is best shown in the video tutorial. Once you have the whole strip of paper fold, fold it in half. Apply glue on the fold. Cut a thin strip of paper (we used red). Wrap it around the fold, adding glue as you go. 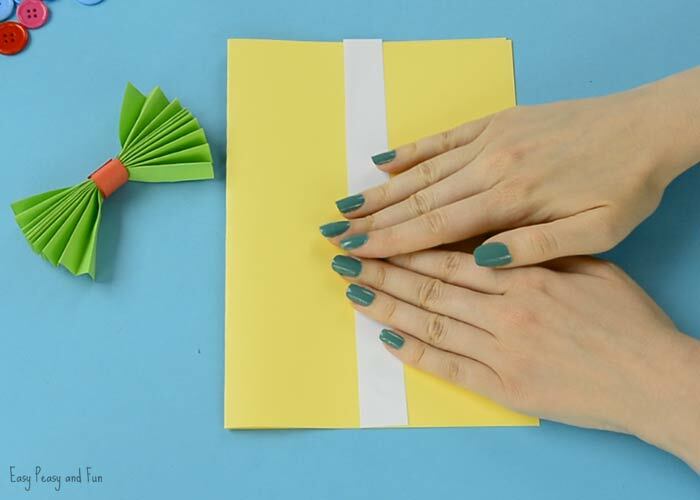 Fold the other sheet of paper in half (we used yellow construction paper). 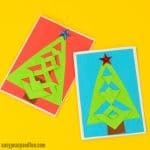 Cut a thin strip of white paper and glue it on the middle as shown on the picture. Add glue on the bow – one side only but across the whole surface. Press it down on the card. Let the glue set, due to the surface of the bowtie it might take a while (if your kids are familiar with using the glue gun do use that). 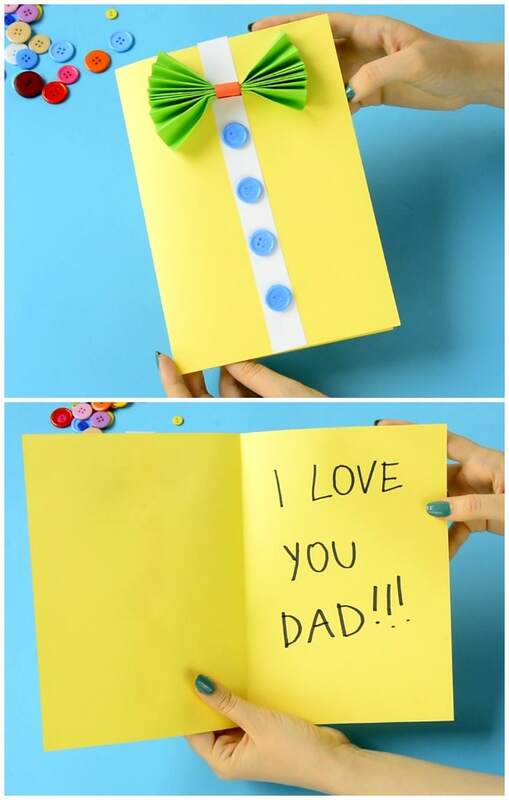 Glue the buttons along the white strip of paper. 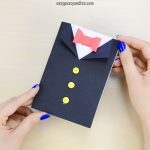 Open the card and write your message.